When selecting a resume format, keep in mind that your goal is to design the document so that reviewers will immediately notice your most appealing achievements and see the value you'll bring to the company. Select a resume format that best spotlights your positive attributes. You can edit and save any of these PDF templates; click the image of the template you'd like to use when you're ready to get started on your own resume. If you need help working with the templates, see this guide for Adobe printables. A chronological resume outlines the history of an applicant's career, demonstrating each turn through qualitative accomplishments. This is a terrific choice to show upward progress within one company or continued mobility within an industry. A chronological sample makes it easy for the reviewer to scan for the skills that are important to the position. Through the objective, the applicant clearly communicates his or her employment goal. 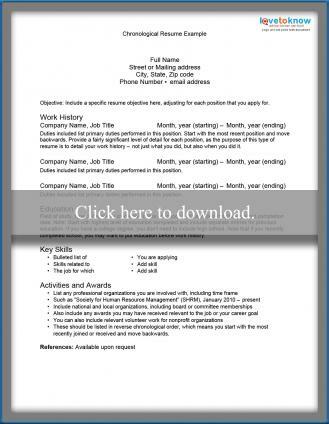 Download a chronological resume template. A functional resume is a great structure for an applicant changing careers, a job seeker who was at home for a while or in the military, or someone who has amassed so much experience in a field or company that there's nowhere else to go but executive row. Logic, order and job-specific keywords are imperative to the success of a functional resume in order to catch a prospective employer's attention. 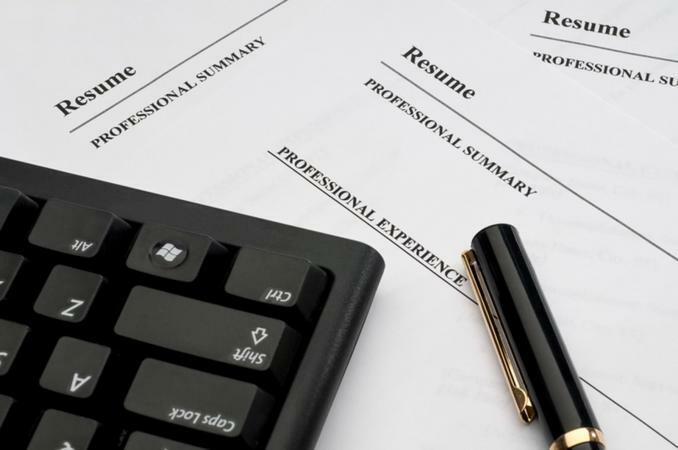 Applicants using this type of resume format are also more likely to include a career profile and/or summary of qualifications instead of an objective. A summary offers the employer more insight into how the applicant will benefit them. 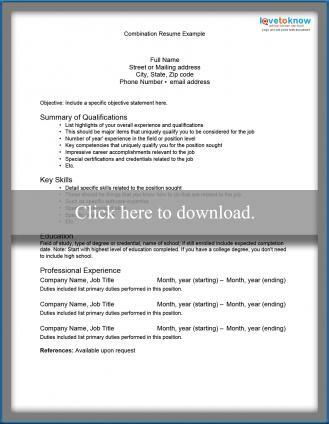 Download a functional resume template. The combination resume format is a hybrid style that is becoming more popular because it incorporates the best features of both of the traditional formats and is more flexible. Open to all professionals, this resume format sample is particularly helpful to applicants reentering the workforce or senior workers looking for new challenges. College graduates may also demonstrate employment longevity through their various part-time positions while at the same time, accentuate some of more applicable skills they've acquired. The key to the combination resume is brevity. The headings should highlight the primary factors the reviewer needs to know. 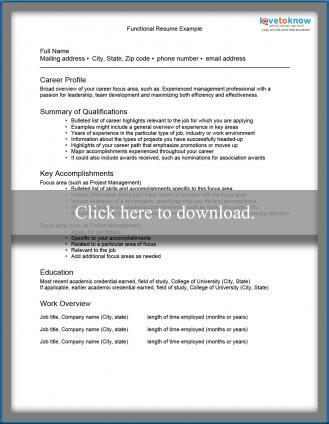 Download a combination resume template. Choosing the right resume format can help you make a professional presentation, but the content is also very important. Be sure to follow best practices for writing a resume when creating your document. Think of the resume format as a frame around a pretty picture; it's really what's inside that matters. Thus, the resume frame should complement your relevant skills and experience.